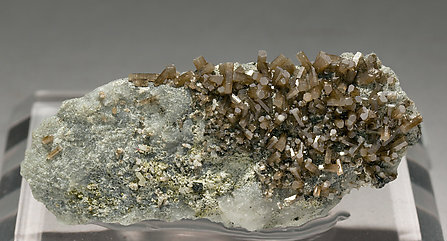 From an old and abandoned Bulgarian locality, these individual brown crystals of Pyromorphite look nice perched on the white Quartz matrix. 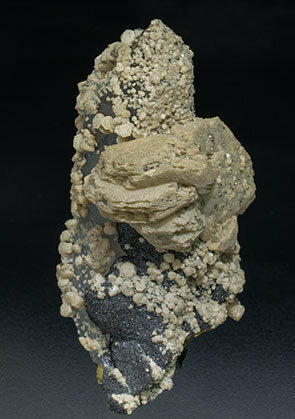 Botryoidal growth with an uncommon shape for Bad Ems samples. 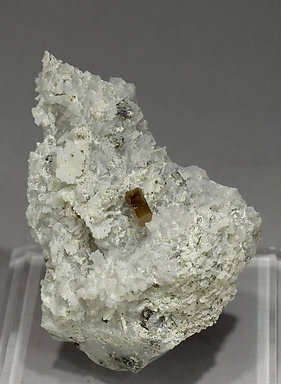 The aggregate has a pleasing color, between cream and slightly brown, and it is on matrix, with small microcrystals of Quartz. 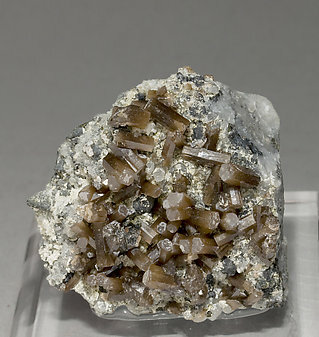 Aggregate of thick tabular Pyrrhotite crystals with very well defined faces and edges. 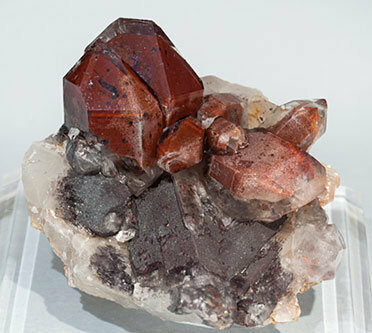 They are bright and on a Sphalerite matrix with Quartz crystals. A novelty at Munich 2018. 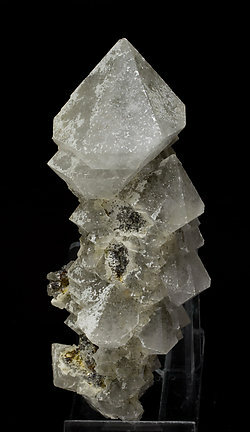 Group of colorless Quartz crystals, one of them clearly dominant, with diffuse phantom growths, abundant geometric growth figures and extraordinarily bright. 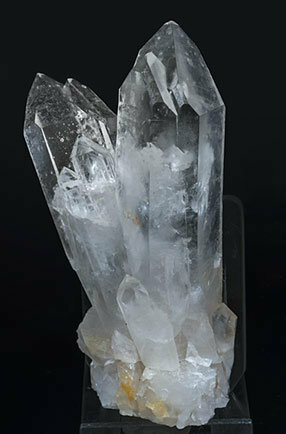 A beautiful surprise from a very recent find in the Aït Ahmane area of Morocco. 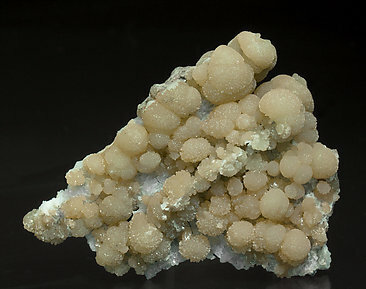 Druse of Quartz crystals on a chalcedony matrix. 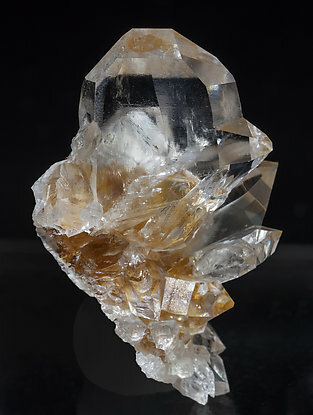 They are very clear and colorless, very bright, rich in faces and have the typical shape that relates to the name of the mine. 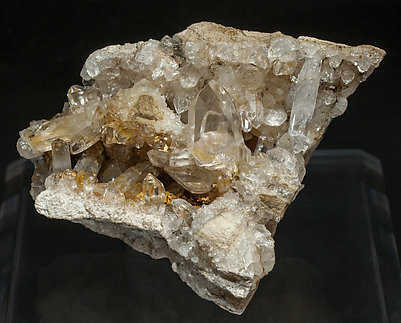 An extraordinary sample, very fine and carefully preserved, from a classic French locality for Quartz. We’ll send to the buyer the label from the Jean-Pierre Gilian collection. 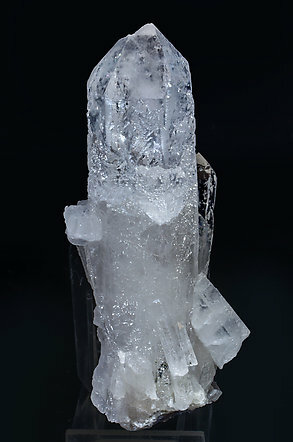 Group of three large translucent crystals with split growths showing smaller crystals, a lot of them doubly terminated, transparent, very bright and practically colorless. 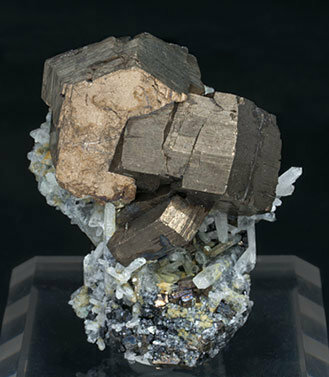 The locality, a great European classic, hasn’t supplied collector’s specimens since long ago. 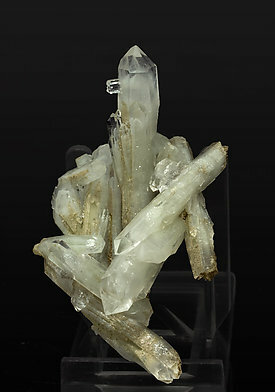 Group of translucent crystals of Quartz. 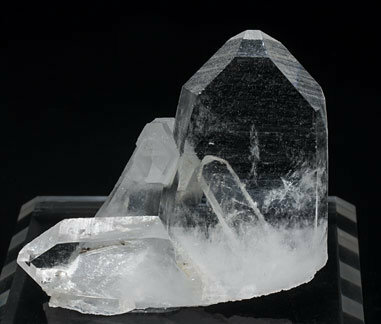 They are slightly spindled and most of them are doubly terminated, and they have inclusions which clearly define phantoms. 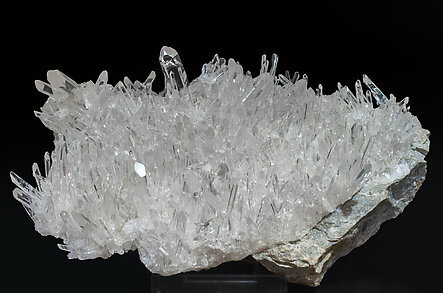 Parallel growth of crystals with a dipyramidal habit, sometimes erroneously described as β-Quartz. 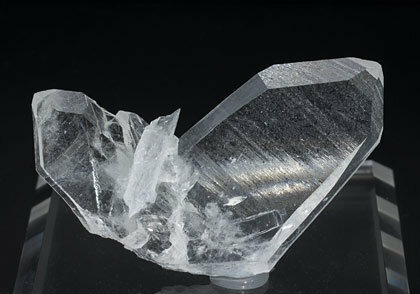 They are translucent, rich with inclusions, and have very well defined faces and edges. 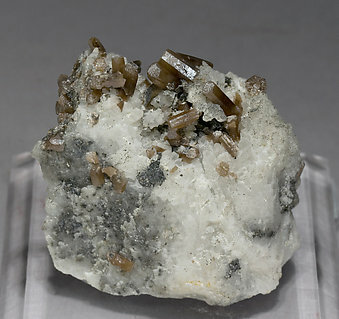 Aggregate of transparent and bright crystals, with a kind of faden inclusions and a very well defined Dauphiné twinning. The sample is of the highest quality from this area. 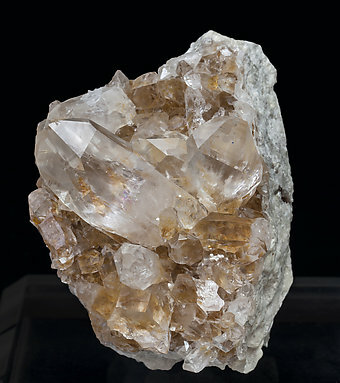 These Quartz samples are one of the more notable surprises in the Daunis collection. 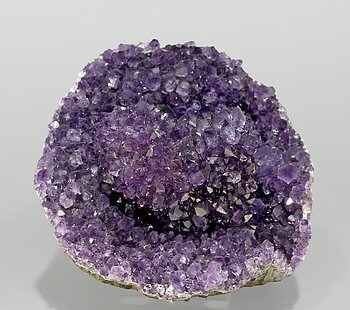 Druse with a fan-like aggregate of very sharp crystals that are transparent, very bright and with a very deep color. 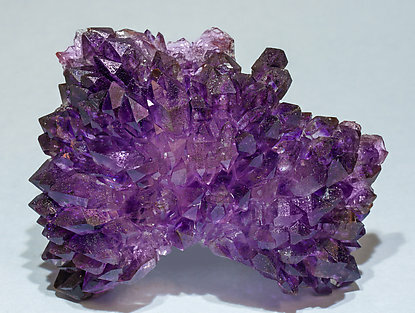 A fine sample, very esthetic. 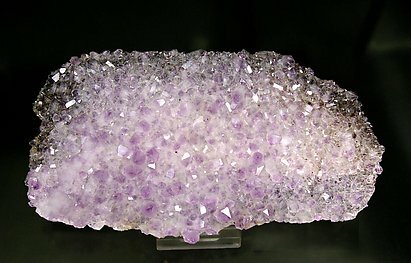 Stalactitic growth, on a Quartz (variety chalcedony) matrix, of weakly developed prismatic Quartz (variety amethyst) faces that have a very deep color, intense luster and are very rich in inclusions. 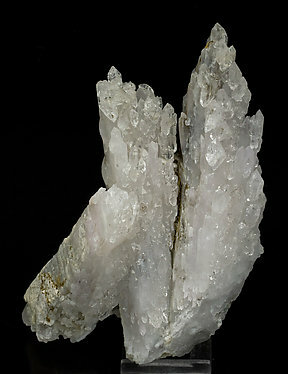 Two parallel stalactitic growths of very sharp and bright crystals, with a very intense, deep and uniform color, that are on a base of white chalcedony. 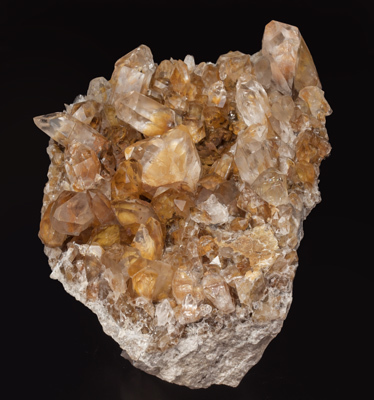 The sample is from a recent find in a new quarry at the locality. 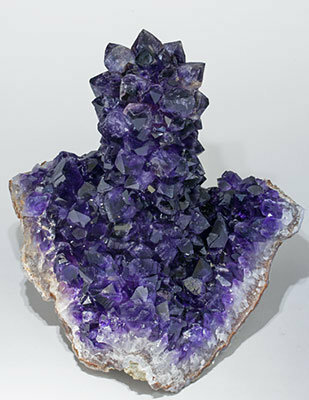 Very aerial stalagmitic growth of short crystals with excellent, very intense, luster, and a deep violet color. 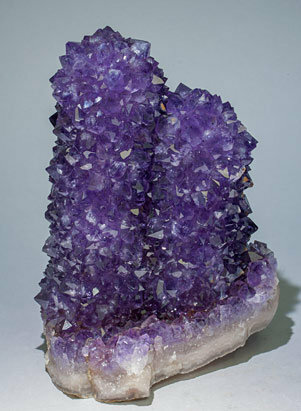 Good size lenticular Calcite crystal partially dissolved and covered nearly throughout by amethyst crystals, with dark inclusions, probably Hematite, near the Calcite edges.